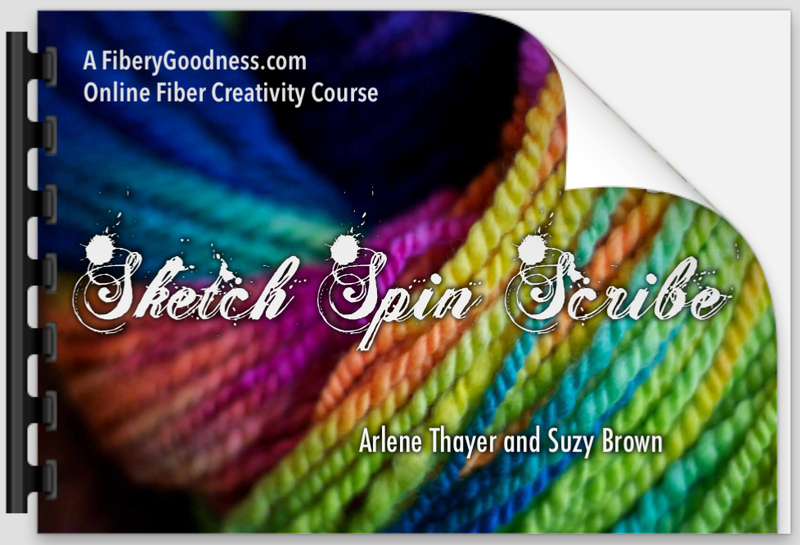 Introducing the new FiberyGoodness Spin Course! Welcome to the world of “S3” aka “Sketch Spin Scribe”! We are very excited to bring you a new course, one we have been working hard on for almost a year! 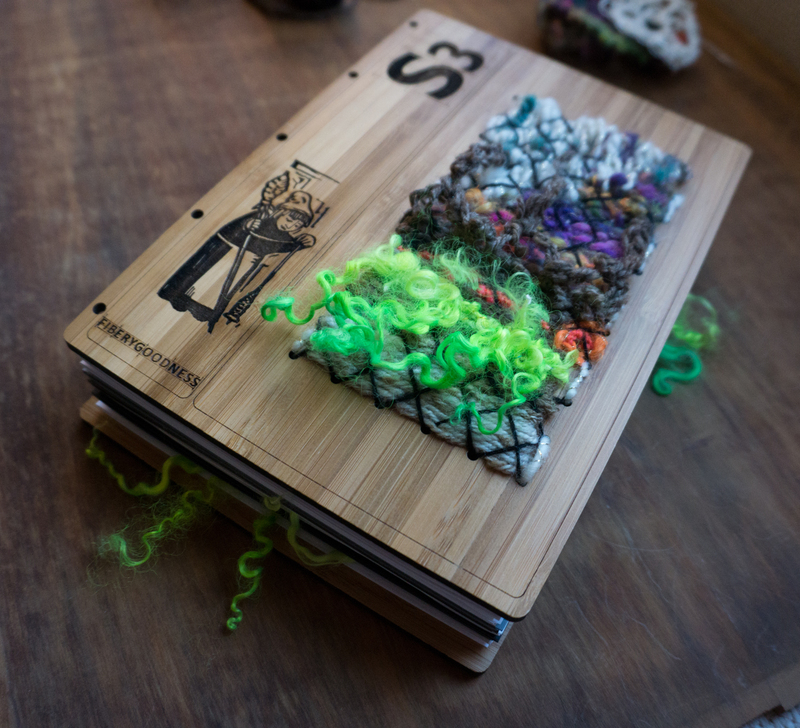 And finally we can reveal the contents, its all about the spinning, and its all about the stories..
We have combined our love for tales, our passion for discovery, and our unending desire to make yarn, and created this course. We hope this will be something of a legacy for all of us, scribing the stories behind our spinning and recording our practical processes. Maybe one day the stories you make and the instructions you record will be treasured by those who follow us in the fiber arts, passed on through generations as a precious gift of knowledge. Working our way through a series of seven modules, each containing step by step spin and fiber prep instructions and accompanied by stories to inspire and connect, the end result will come to life in the form of your own story, a book you will create in which you become the Archivist or the Philosopher, the Victorian adventurer discovering and recording, or the writer of the future.. Each one of these creations will be unique and amazing as you build your own fibery heirloom! This will be encased in the gorgeous wooden book covers created especially for this course by the wonderful folks at Majacraft! Pop on over to the Course Page for more details! But FIRST! What better way to start off than with a game!? Follow the Hunt on our Facebook Group where we will post one clue each day for the next three days! Check your guesses by messaging the lovely Jan Massie who has been instructed to give you only the answers ‘Yes’ or ‘No’ and will record your email if you get the final clues correct! Here is your first clue – we will also post it on the FB group page! ← Spin Artiste’s Featured Artist of the Week: Holly Madison of Blue Barn Fiber plus Fiber Giveaway! England it looks like is the answer. I am old so I hope you wont disqualify me for my age. Devon and or Cornwall England. No need to post your answer anywhere just yet – if you need to check to find out if you have it right, contact Jan Massie on Facebook (Just 4 Ewe Studio/Gallery) and she can let you know if you have it, she is only allowed to say ‘yes’ or ‘no’! 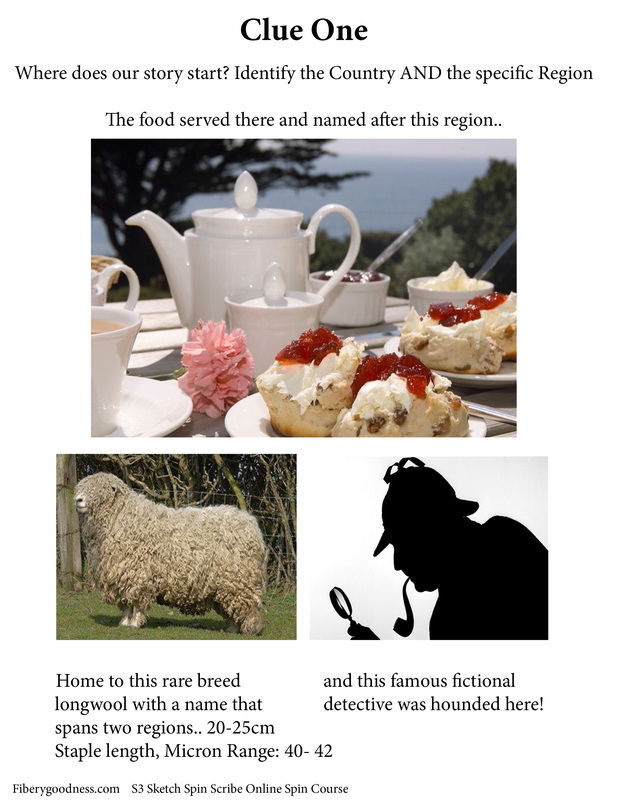 Wait till you have all three clues, put them together, and then give Jan your answer – if you have it right she will ask you for your email address so you can go in the draw!